Those who attend this seminar will receive a Certificate at the conclusion of the Program. It is also approved for Appraisal CE Credit in New York State. Many have found this program beneficial to understand Economics and the Role of Money in America....especially as it relates to Real Estate and the Economy. 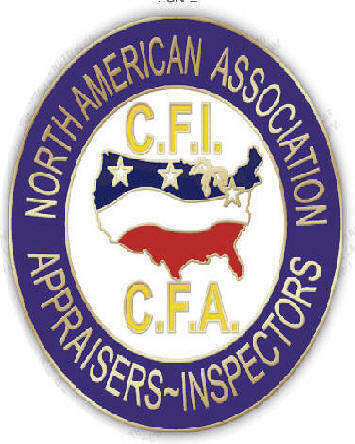 Appraisers would only need to take this course and the 7 Hour USPAP to fulfill their Appraiser CE Requirements in NY State! Approved for 22.5 hours for Real Estate Salespersons and Brokers in NY State. Tuition: $ 495.00 including all Books, Materials and Discussion Handouts for seminar. DAY 1 & 2 8-5pm Day 3 8-11a, THIS COURSE IS AN REAL ESTATE economics IN NEW YORK STATE. WE WILL DISCUSS CONSUME ECONOMICS, MICROECONOMICS, MACROECONOMICS, DEVELOPMENTS, AND TIME LINE PROJECTIONS FOR OUR FUTURE AND THE VALUE OF HOMES FROM THE 1900'S TO PRESENT. A GREAT CLASS TO ATTEND. THIS CLASS IS ALSO APPROVED FOR REAL ESTATE SALES AND BROKER CONTINUING EDUCATION. DAY 1 & 2 8-5, DAY 3 8-11AM THIS CERTIFICATE PROGRAM WILL DISCUSS THE HISTORY OF REAL ESTATE ECONOMICS AND HOW ECONOMICS EFFECT HOME VALUES AND SPENDING PATTERNS THROUGHOUT THE USA. WE WILL DISCUSS ECONOMICS, MORE AS A CONSUMER ECONOMICS RATHER THAN MACRO OR MICRO ECONOMICS THEORY AND EACH STUDENT WILL GAIN A TRUE UNDERSTANDING OF THE CYCLES WHICH ARE PRESENT THROUGHOUT THE USA. THE MANUAL WILL BE INCLUDED IN THE COURSE AND THIS CLASS, PLUS USPAP MEETS THE 28 HOUR REQUIREMENT! Graduate by Attending the Seminar, Taking notes and being part of the discussion. You will receive a Certificate upon your Program Completion. 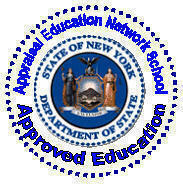 We are proud to say that this program is approved by NYS, Dept. of State for Appraiser CE Credit and Real Estate CE Credit 22.5 hours as well as being endorsed by the International Real Estate Institute and the National Association of Review Appraisers and Mortgage Underwriters. INCLUDES A $ 75 REAL ESTATE ECONOMICS TEXT FOR COURSE USE. 22.5 HOURS CERTIFICATE PROGRAM. A comprehensive course for Real Estate Economics in it’s entirety. Micro, Macro and Consumer Economics. A great class for the informed appraiser and realtor. This class is approved for appraisers and real estate professionals in NYS.The RE Economics Class deals with contemporary Economics issues, to benefit and expand the knowledge base for the appraiser in NYS. [ ] BOTH REAL ESTATE AND APPRAISAL CONTINUING EDUCATION!!! 2 CERTIFICATES...1 PROGRAM! Limited Seating. Attendance Mandatory. No Refund nor exchanges permitted once registered for this Program. THIS INCLUDES THE $ 75.00 ECONOMICS BOOK (400 Pages) AS PART OF THE CLASS! NO EXAM REQUIRED! CERTIFICATES ARE ISSUED AT THE CONCLUSION OF THE 2 1/2 DAY PROGRAM- SIGN UP EARLY !